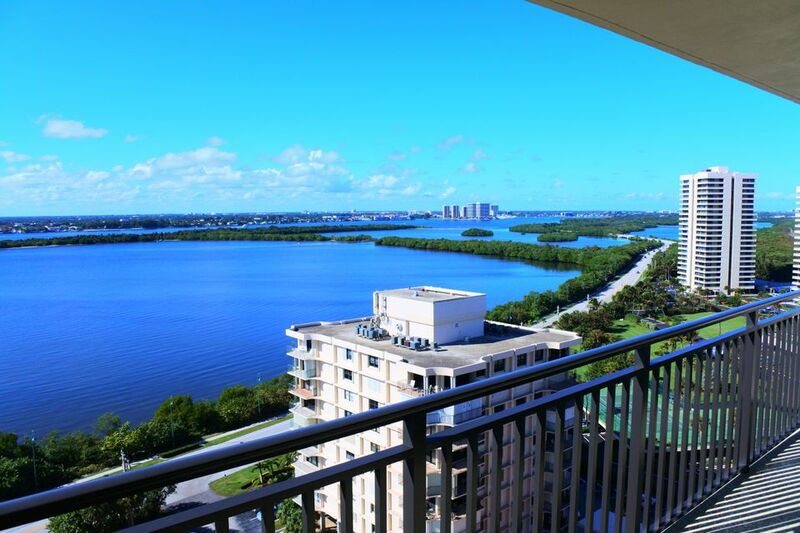 Enjoy the amazing panoramic views from this 2BR oceanfront Penthouse on Singer Island. Look out at both the ocean and intracoastal from your large wrap around balcony, or your two bedroom balconies. Updated kitchen, marble flooring in master, ALL hurricane impact glass, and NO SPECIAL ASSESSMENT. Amenities include: Manager on Site, Clubhouse, Common Laundry, Elevator, Extra Storage, Pool, Shuffleboard, Spa-Hot Tub, Tennis, Trash Chute.